Mivec Owners Group • View topic - Evo 5 or FTO front arms on a Gen2? Evo 5 or FTO front arms on a Gen2? Post subject: Evo 5 or FTO front arms on a Gen2? Hi guys. looking for some advice; hope you good lads can help. I am looking to do a 5lug conversion on my Gen2. 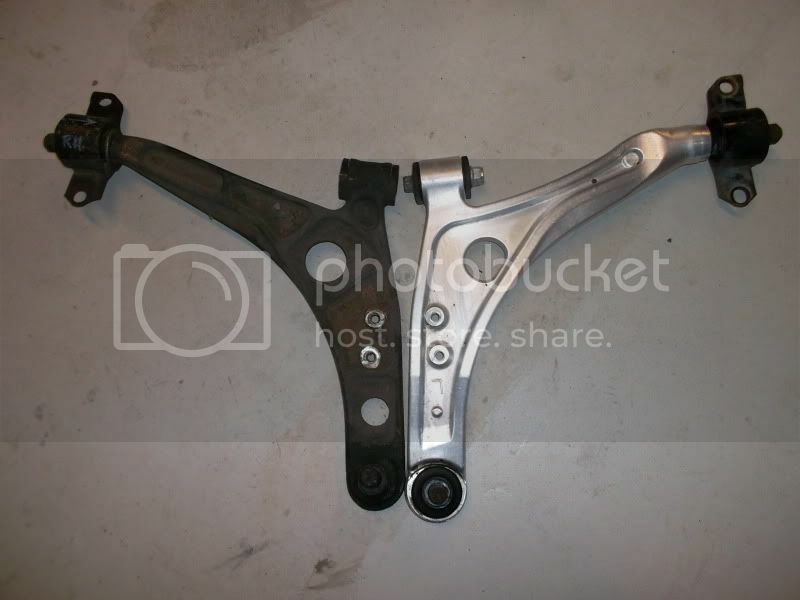 I was really thinking of the aluminum front arms off an Evo 5 and RS brakes. Now its a given that the front track will be wider, can anyone tell me how much wider? And if anyone has side by side pics of a Gen2 front LCA and an Evo LCA would be awesome. Also can anyone who has done it before share with me if it alters the wheelbase of the car? I was wondering if it does does change the position of the front wheels, so much so that the wheels doesnt sit center in the front fender? 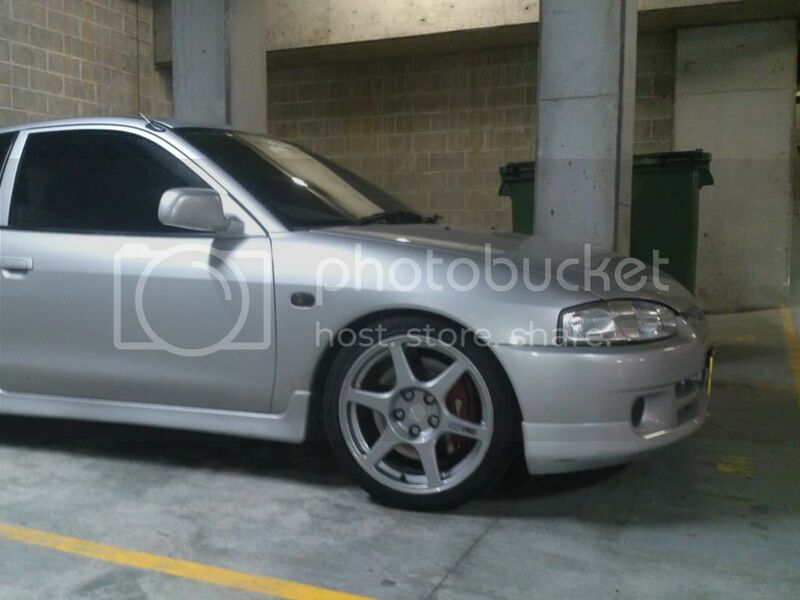 Post subject: Re: Evo 5 or FTO front arms on a Gen2? Track will come out about 8mm per side from memory. Wheelbase wasn't any different to the eye, maybe a few mm at most. seriously, any performance benefits? Apart from the added strength of the components, i am not sure if they any lighter than factory arms, maybe even heavier. Also not sure if the new ball joint will make a difference? The biggest advantage is the Castor change, which visually will push the wheels towards the front of the arch.